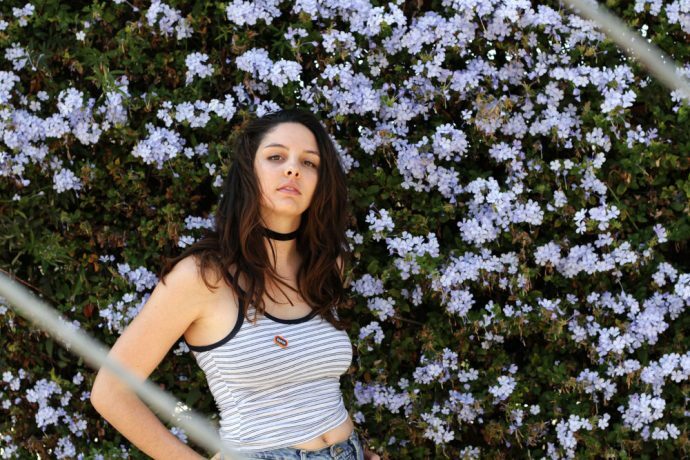 LA-based artist, Maddie Ross released her first EP, Television Is My Friend, in 2014. Two years later, the USC grad releases her new EP, Making Out Is Easy. Surviving the Golden Age is excited to premiere the new single from the EP called “Baby Doll.” “Baby Doll” poses Maddie Ross as a Harley Quinn of sorts. She’s cute, talking about her french braids, and then the tiger comes out. While the verses sound a little like Ke$ha, the chorus and bridge feature crunchy alt-rock guitars giving it a Potty Mouth-esque sound. The dynamic performance leads to a unique and ear-catching pop track.